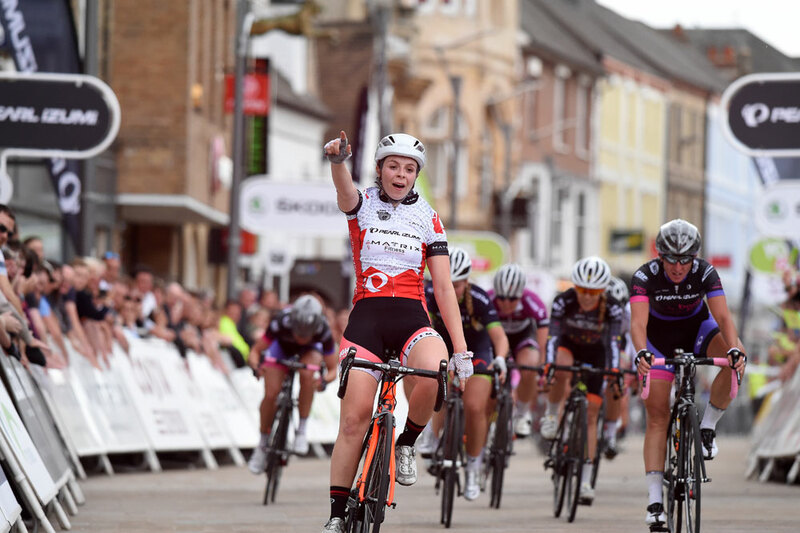 Rapha Condor-JLT took their second victory of the 2014 Pearl Izumi Tour Series in Peterborough last night to open up a three-point lead at the top of the overall standings. Great Britain’s Matt Gibson claimed the overall win with a gutsy solo attack from a four-man group, but 2011 series victors Rapha placed three riders in the top six to take the team prize on the night. 17-year-old Gibson, NFTO’s Adam Blythe, Graham Briggs (Rapha Condor-JLT) and Mike Northey (Madison Genesis) broke clear around halfway through the round, and maintained a lead of over 30 seconds on the peloton. However Gibson jumped clear at the start of the final 1.1-kilometre lap, and held on to take the individual win. Blythe took second in his best Tour Series showing to date, while Briggs was awarded third by the commissaires despite placing behind Northey following a last-corner clash. Briggs’s team-mates Felix English and Ed Clancy led the bunch home for fifth and sixth to earnRapha the team prize. 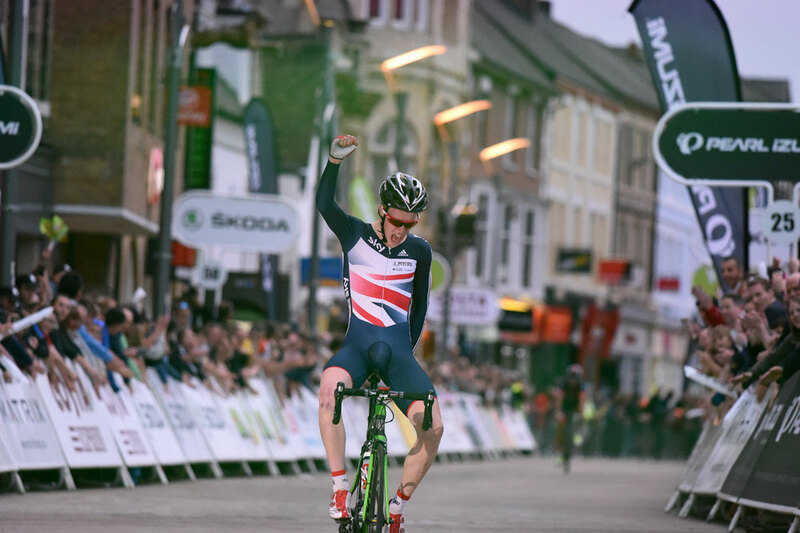 Madison Genesis, winners last time out in Barrow, came second, with NFTO claiming third. In the women’s Matrix GP Series, Eileen Roe (Starley Primal) took the series lead away from fellow Scot Katie Archibald after winning the series’ second round. Archibald, who won race one in Stoke-on-Trent last week, did not start last night, which meant Roe wore the leaders’ jersey as the best-placed competing rider. However, her aggressive riding and then a perfectly-timed sprint meant she took the lead of the event outright. She holds an 11-point advantage over comptatriot Charlene Joiner (Pearl Izumi Sports Tours International) ahead of round three in Edinburgh next week.